Birdwatchers, don't hate me if I'm wrong. I'm 98% certain this is a European starling. The other day the family and I were sitting in the kitchen when I looked out our window and saw a huge flock of starlings descend on our lawn. They stood around pecking for food, and we all watched them happily for a few minutes when suddenly, in one massive coordinated effort, they all took flight, moving in the same direction, so utterly synchronized. It was incredible to watch. Just a few days later, I ran across an NPR article about this very phenomenon. 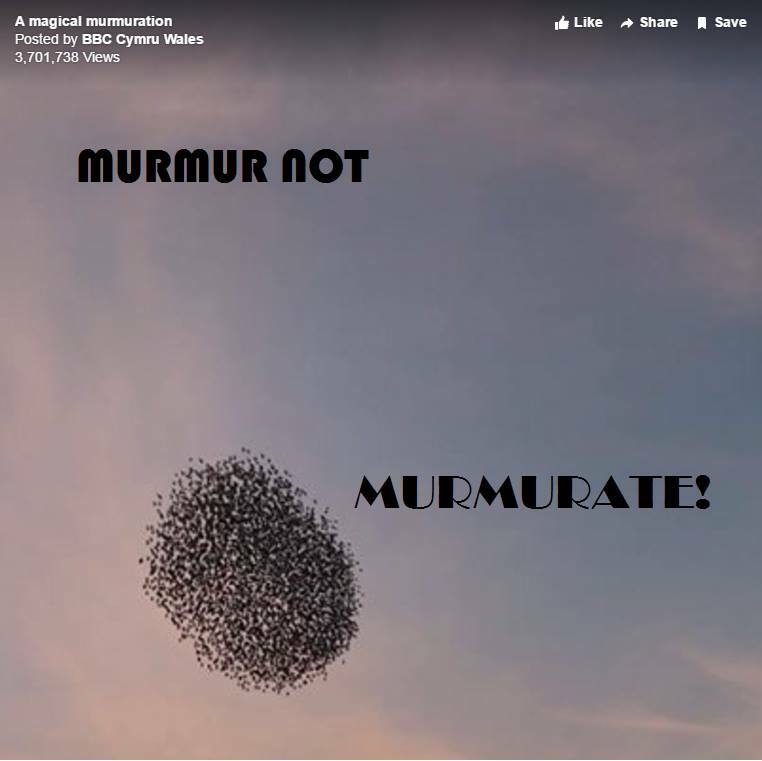 It's called a murmuration, and the article has a cool video of one. 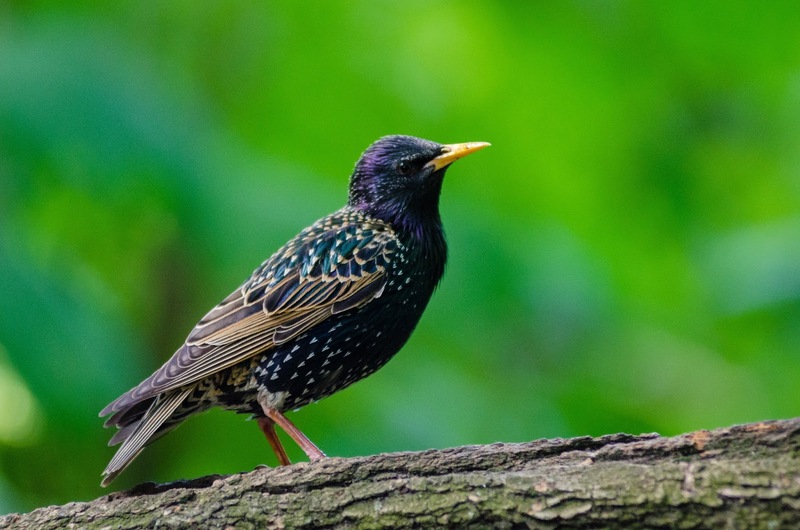 The article talks about some scientists who have studied murmuration, one of whom calls the phenomenon a "remarkable ability to maintain cohesion as a group in highly uncertain environments and with limited, noisy information," to see how the starlings can be so unified. It turns out that they believe that each starling pays attention to the seven starlings nearest them and flies with them. It made me think about a number of things, some of which I am still considering. So I'll leave you to consider some of the same questions. Who am I flying with? Who are the people nearest me? And are they flying in directions I want to go? Am I providing a lifting, positive direction to those who might be watching me? How can I be a better influence or help to those in my closest circles? My friend Derrill thought of Laman and Lemuel in the Book of Mormon, who spend most of their time murmuring—complaining and performing all of their tasks grudgingly. 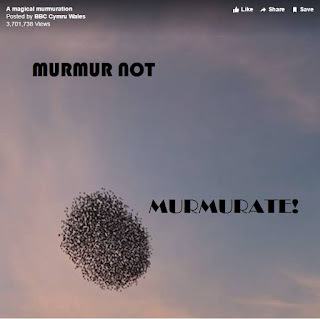 He made this awesome Mormonad: Murmur not! Murmurate! So the question is, which do I do? Of course every metaphor breaks down somewhere, and for me one of the breakdowns is that we are meant to be individuals, not starlings. But we are still meant to work together towards common goals and lend one another strength. So I think there's enough here to make the metaphor interesting and worth some thought. What lessons do you think we could learn from the starlings? Love to fly with you too.